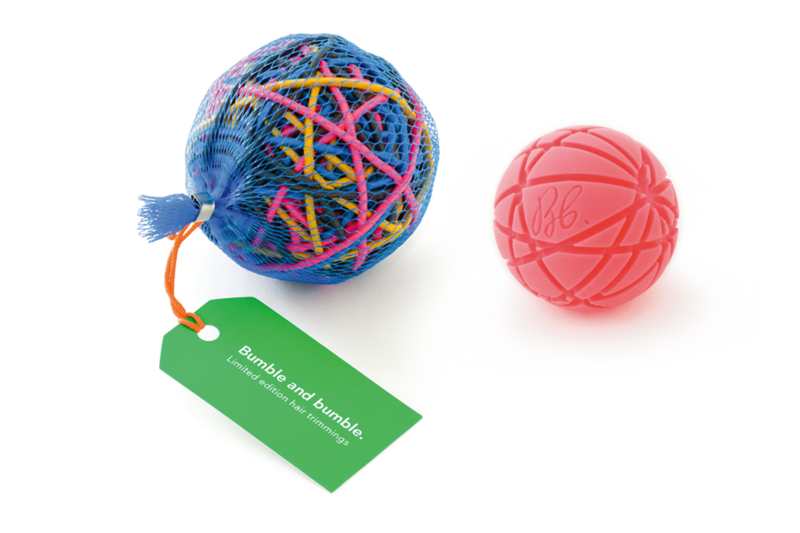 The Pinwheel & Bandwheel were inspired by tree ornaments and candy canes and included in Bumble's annual gift box. For good measure we decided to make a standalone "Bumble Bandball" which at its core contained a large rubber bouncy ball with 10 orbits cut into its surface. The ball serves as a delivery system for 100 bands but when they're all gone there's still a place to store 10 bands on the rubber ball. Throw the ball in your purse and you'll never deal with hard to find loose bands again.